You can toss The Tampa Bay Partnership into the same bucket as the Metropolitan Planning Organizations (MPOs) and TBARTA. 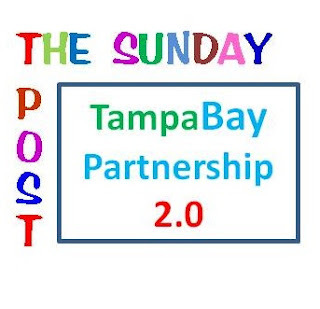 The Tampa Bay Partnership (TBP) was formed in 1994 as a regional joint public/private organization to encourage and support major economic issues. You can read the details of the TBP reinvention in the Tampa Bay Times piece by Robert Trigaux Business Columnist: Tampa Bay Partnership 2.0: To meet regional challenge, economic advocacy group reinvents itself. The Tampa Bay Partnership is made up of CEOs and government officials, and the primary aim was to support economic development from a regional perspective. The Tampa Bay Partnership galvanizes the business and political leadership of Tampa Bay to exert its collective influence on the policies, programs and projects that enhance the economic competitiveness and prosperity of our region. Through the Partnership’s public policy, political action and research initiatives, a diverse community is united with one shared vision and one powerful voice on issues of regional significance. Founded in 1994, the regional advocacy organization is today supported by more than 120 private investors, public partners and community stakeholders from the counties of Citrus, Hernando, Hillsborough, Manatee, Pasco, Pinellas, Polk and Sarasota. They will dump their public funding along with the politicians (Public Partners) and the public scrutiny that come with the public money and simply become a regional lobbying club made up of people who can afford the “dues” or feel the investment will be in their best interest. The TBP has not been all that effective of late, except for the recent TBX effort but there is little to indicate their support made much difference. The Tampa Bay region is such an alphabet soup of planning organizations, cities, counties and special-interest groups and organizations that it is a wonder that anything gets done. Once TBP is successful in filling its Board at $50K and $25K, a pop and unfettered by the restrictions that come along with the public funding it will be interesting to see what the Tampa Bay Partnership 2.0 looks like. Will they be a good old boys club, a lobbying group, self-serving special interest group, a Political Action Committee (PAC) or some hybrid combination? One thing is for sure, if you can’t afford a seat at the TBP table the likelihood they will be supporting anything in your best interest is slim.